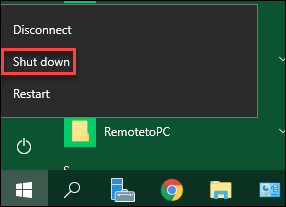 When the VM is shut down from within the Azure VM via the RDP session, all the applications and services within the VM are shut down in sequence before the VM is stopped. This IS the correct way to shut down an Azure VM, rather than just ‘pulling the plug’ by using the Azure Portal. However, if the machine is not required then proceed to Stopped (Deallocated). How many ways can I shutdown a VM?